Our international vision leads our pupils to become multilingual. 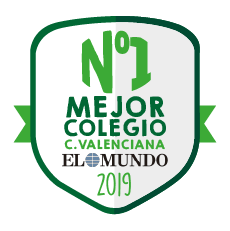 This is achieved through immersion in a Spanish-English bilingual system from an early age and through offering them exposure to other foreign languages, as well as Valencian. The most outstanding difference between Mas Camarena and International schools is that we follow the Spanish curriculum. However,Mas Camarena uses English as the working language to teach a range of subjects. Our students, the majority of whom are Spanish, follow the Spanish Syllabus, and at the same time are able to reach a high level of English. As a result, they obtain a University of Cambridge Certificate, a qualification from the Official School of Languages, as well as the University Access Examination or the International Baccalaureate Diploma. Our methodology is based on the Early Learning Programme to maximise the childrens’ intellectual, physical and emotional abilities. From the first year in nursery, short oral English lessons are introduced on a daily basis. In the next stage, 65% of the time, students are taught in English. In this way, students learn both Spanish and English, as well as Valencian. At the end of this stage, children have acquired reading skills in Spanish and English, can count to at least one hundred, can add and subtract and are able to write by themselves. They can communicate in English and are fit and healthy. Throughout Primary 50% of the teaching is in English and the remaining is in Spanish and Valencian. Although we follow the Spanish National Syllabus, several subjects are taught in English: Natural and Social Sciences, English language (Speaking. Reading, Listening and Writing) and Art. Maths is taught in both English and Spanish. A second foreign language is introduced in the 5th year of Primary, our students can choose from French, German or Mandarin Chinese. Special relevance is given to students using English to communicate amongst themselves in class, thus achieving bilingualism in this stage of Primary. On top of that, students are prepared for the Cambridge University Young Learner’s English exams (YLE). In order to allow time for subjects such as technology, the sciences, laboratory, projects, the number of classes each week is increased to forty in secondary. In 1st ESO students continue to study the second foreign language taken up in 5th primary; French, German and Mandarin Chinese, which they can continue to study up to 4th ESO. The organisation of secondary allows a greater use of the laboratories, given the fact that one of the weekly science lessons takes place in the lab where experiments, supervised by two teachers are carried out. There are ten weekly lessons in English which cover the subjects of English language, Art and Geography. Students choose between the Spanish National Baccalaureate or the International Baccalaureate Diploma Programme. The reduced class numbers allow for more personalised attention, which enables an individualised teaching-learning process adapted to the needs and potential for development of each student. 1st and 2nd of ESO: Preliminary English Test for Schools. B1 level. 1st Bach: Certificate in Advanced English. C1 level. 2nd Bach: Proficiency in English. C2 level. Second foreign language:: The students can choose to sit the A-2 exam in 4th of ESO.